LANSING, Mich. via TORONTO, Ont. 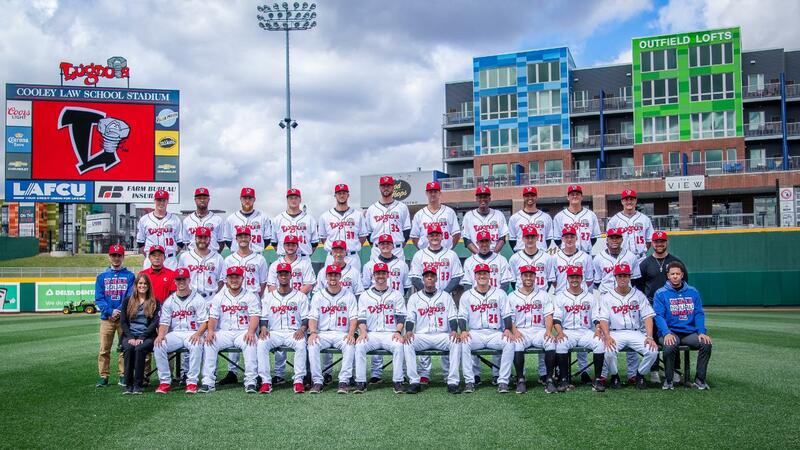 - Last season, the Lansing Lugnuts owned the Midwest League's second highest team ERA and struck out the least amount of batters as a team. With strikeout leaders Maximo Castillo, Dany Jimenez, Donnie Sellers (IL) and Graham Spraker all starting the season with the Dunedin Blue Jays, the team will hope to bounce back from last season. Josh Winckowski, who started the Lugs' home opener against the Fort Wayne TinCaps on April 4, makes the jump to Class-A after spending the 2018 season with the Vancouver Canadians. In 13 games, the native of Toledo, Ohio, pitched to an ERA of 2.78 in 68 innings, racking up a whopping 71 strikeouts and walking just 15 batters, and was honored as the Northwest League Pitcher of the Year. Joining him will be new Blue Jays prospect Juan De Paula, who last week was acquired from the San Francisco Giants in a trade that sent outfielder Kevin Pillar to the National League. De Paula, who pitched 3 1/3 innings in Saturday's ballgame, spent the 2018 season with the Short-Season A Staten Island Yankees of the New York-Penn League. Among those making the jump to Lansing from Vancouver are Sean Wymer, 22, Joey Murray, 22, and Will McAffer, 21. Wymer, drafted in the fourth round in 2018 from TCU, stumbled out of the gate in his first professional season, pitching to an ERA of 4.84 in 35 1/3 frames for the Canadians, but managed to turn in three solid starts near the end of last season. He enters this season rated the Blue Jays' No. 26 prospect by Baseball America. Murray, who was drafted by the Blue Jays in the 8th round of the 2018 MLB Draft, was tremendous in Vancouver, tossing 25 2/3 frames to an ERA of 1.75 and striking out 39 batters. In his first start with the Lugs, the native of Dublin, Ohio, threw five strong innings without allowing an earned run. McAffer, selected in 2018 out of Tulane University, notched an ERA of 3.68 in 21 games in Vancouver. The North Vancouver, B.C., native was selected in the 25th round of the 2018 draft. One of the most exciting pitchers making the jump to Lansing this season, 22-year-old Fitz Stadler, who stands at 6'9", posted a spectacular 1.77 ERA in 21 games with Bluefield and Vancouver in 2018. The product of Arizona State struck out 39 in just 35 2/3 innings. Righties Cobi Johnson, who tossed 26 frames to an ERA of 1.73 with Vancouver in 2018, and Mike Pascoe, who was drafted in the 24th round last year, also make the roster. Johnson, who served as Canadians closer, recording 10 saves in as many chances and earning a spot on the Northwest League Mid-Season All-Star Team, moves into the Lugnuts rotation in a piggyback tandem with Stadler. Rounding out the list of righties are Joey Pulido, 23 (0.98 ERA, 36.2 IP, 32 SO w/ VAN/BLU/GULF), Jackson Rees, 24 (5.06 ERA, 21.1 IP, 23 SO w/ BLU/GULF), Connor Law, 24 (3.73 ERA, 31.1 IP, 35 SO w/ VAN/DUN), and Josh Hiatt, 22, the last of whom made his professional debut with the Nuts on April 6 and will work in a piggyback tandem with De Paul. The sole lefty on the staff, San Diego State University alum Marcus Reyes, 24, joins the Lugnuts after a stellar 2018 campaign in which he struck out 31 in 33 1/3 frames for Vancouver, boasting an ERA of 1.35 and finishing 12 of the 23 games he appeared in. RHP Colton Laws, 22, is the only pitcher returning to Lansing, though he starts the season on the Injured List. RHPs Mike Ellenbest, 23, who played for Lansing in 2017, and José Espada, 22, join Laws on the IL.